On this page, I would like to show how I proceed through the single steps of making a big truss Dob. I want to shown how to solve those little problems that come up during this process with simple tools. I hope that this will help encouraging other amateurs to make their own telescope according to their specific needs and preferences. Many of the topics here are covered already somewhere else on my web pages. They are put her together to give a more coherent picture of the process of making a big Dob. ... and possibly an equatorial platform, which replaces the ground board. The usual way to make a big Dob (provided you already have the mirrors) is to start with the secondary cage and the mirror cell. The next step would be making the mirror box and finally the poles and the clamps. 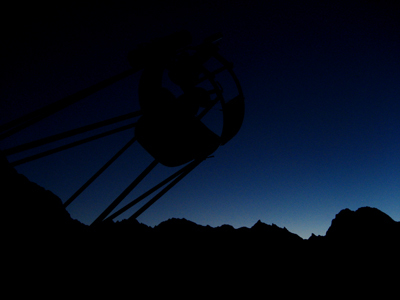 The Dobsonian mount requires that the telescope is perfectly balanced. Therefore, the altitude bearings have to be centered at the center of mass of the optical tube assembly, which comprises the first three parts (i.e. everything except for the rocker box and the ground board). This implies that you need to know the precise location of the center of mass of the optical tube before you can start with the rocker box and the altitude bearings. For a rough estimate, you can make a good guess and some calculations for the position of the center of mass (see here). However, before you really start making the rocker box, this position should be known precisely. That's why the rocker box is the last of the parts to be built. For the design process, I only use the program Newt by Dale Keller for the geometric dimensioning of the telescope and Plop by David Lewis and Toshimi Taki for the design of the mirror cell. Everything else is done on paper. 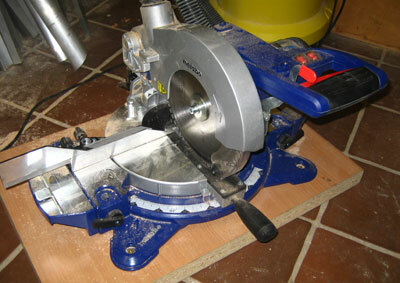 Mine is a Metabo KS216 for 85€ with a special blade for aluminum for 60€. Great for cutting down wood or aluminum tubing. a router (~50 Euro) with a home-made compass. These entry level routers are usually accompanied by a complete set of cheap router bits that have an extremely limited life time. 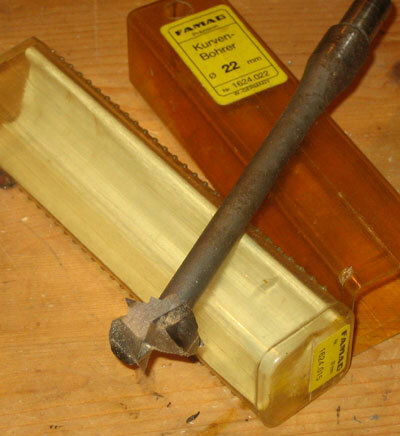 Therefore you should by at least one additional high quality straight router bit. furthermore, I have access to a small table saw. 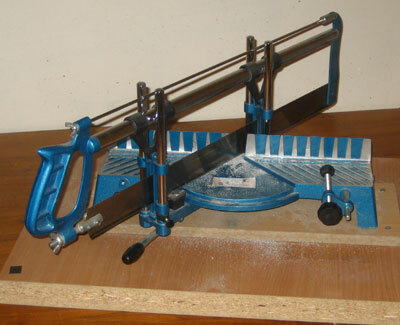 Multiplex-plywood (birch) and the thin plywood that is offered for modeling are available at the local hard ware stores. Usually, you can buy it pre-cut with varying accuracy. 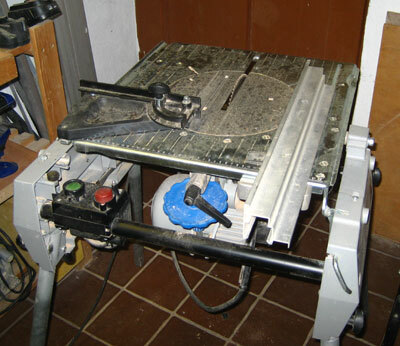 Therefore I buy larger sheets and cut the parts myself, which requires a buzz saw (or alternatively a lot of trust in the capabilities and willingness of the employee at the hardware store). Aluminum profiles are bought at a local aluminum wholesale dealer where the options and prices are usually much better than at a hardware store. There are also several suppliers where you can order via the internet, but I have no experience with them.